PCD Pharma Franchise in Madhya Pradesh – Innovexia Life Science is an ISO 9001:2008 certified Private Limited company which manufacture the WHO & GMP certified pharma products. 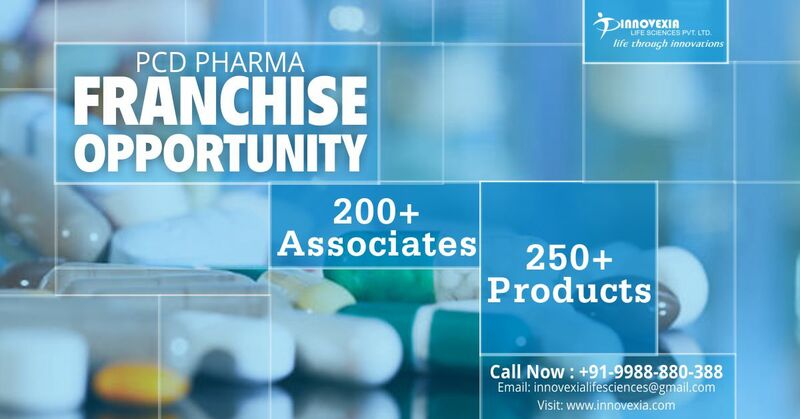 After gaining immense expertise, We are offering PCD pharma franchise opportunity in all over India. And, Madhya Pradesh is our main target location. We are expanding to great new heights and want you to join us by way of accepting our humble proposal of PCD Pharma Franchise in Madhya Pradesh which is the heart of India & a good place for business. For best offers & more information, contact Innovexia Life Sciences for genuine investment. Contact us at +91 9988880388. Join hand with Innovexia Life Sciences and get the best quality range of drugs and great business opportunity. This is your chance to do well by setting up your own Business in the Pharmaceutical sector. Madhya Pradesh also called Central Province is called the heart of India due to its geographical location. It is a beautiful state with 51 districts. We, Innovexia Life Science are offering proposals to innovative, creative & hardworking people across the nation to become our member by PCD Pharma Franchise in Madhya Pradesh. Business is a complete profession which means being independent if you own it. Many individuals who have good knowledge about pharmaceuticals but do not know how to start a business which is hard if we try on our own as it consumes a lot of time, money & patience. Innovexia is a trusted name that is engaged in providing Pharma Franchise. We would like to introduce ourselves as a marketing company with a wide range of Tablets, Capsules, Syrups, Injectibles, Ointments. Our range of pharmaceutical drugs provides the cure to various ailments and infections. We welcome various Pharma dealers and distributors from all over India to become our PCD/Franchise for our products in their region. If you have good contacts, it will eventually have less workload. You can be your own boss & work within your will & wishes. Less investment required if compared to a startup business which is genuine enough. Support and assistance from best pharmacy company. You will be benefited with gifts, incentives, bonus etc all the year which is not given in a normal job or business. Self-employment opportunity is important as it gives you independence. It has less expenditure which is reduced by making, supplying & trading cost charges. You save more through the cut of expenditure being incurred on set up, administration and marketing cost. Innovexia Life Science is India’s most reputed pharmaceutical company which are headed by Mr Sandeep Khajuria & Mr Rohit Sharma under whose best guidance & experience of 16 years in reputed pharmacies like Cipla, Dr. Reddy’s Lab etc, they have forged on to present the company at a stage where we proudly say that we have earned it through sheer dedication & hard work. We invite the new member for PCD Pharma Franchise in Madhya Pradesh to be our member in discovering new heights through this business venture. We are providing the best quality pharma formulation as our all products are manufactured under the supreme supervision of our special body Corporate Quality Unit. This looks after the team which checks the quality of the products while manufacturing. No one could beat us when it comes to purity, quality, effectiveness, and safety. Our products are manufactured and produced after going through strict quality control measures under strict surveillance. All units and plants are GMP and WHO certified. All products have been approved by DCGI and FDI. Best experts to formulate the qualitative combination of molecules & atoms. A good social and corporate responsibilities record by way of donating and supporting charities relieves. We provide quality skills training around the nation to realize the growing need of Pharmacy. Special emphasis on therapeutic areas. A good check on environmental sustainability by using the new innovative formulation with no compromise on quality. Fully air-conditioned and ventilated warehouse and manufacturing units as per government guidelines. No tests on animals at any stage of research. Latest machines & hi-tech gadgets, as well as equipment, are installed. These comprise of more than 200+ products which are our specialty, best in quality & affordable yet no compromised nature & government guidelines. Our products are made from the finest and hygienic raw material supplied by the best vendor in the area. Join hands with the leading pharmaceutical company, Innovexia Life sciences for growing and successful business in the pharmaceutical sector. Our company is providing you an opportunity to start your own business successfully in the pharmaceutical sector by providing its Franchise in Madhya Pradesh for PCD Pharma/ Pharma Franchise. Our business partners will get the best support from our end to start their business successfully in the pharmaceutical sector. Marketing aids being available to you. Innovexia Life Sciences is an ideal company for Pharma Franchise in Madhya Pradesh and best known for providing the quality medicine. Be the part of top PCD Pharma Company for Madhya Pradesh region and work independently. Our Company makes sure to deliver quality through medicine for a better and healthier life.